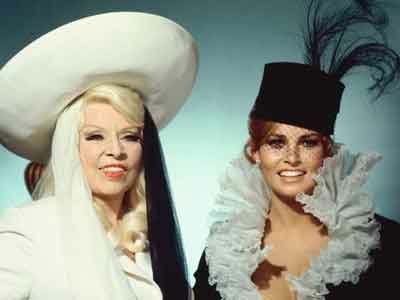 Mae West and Raquel Welch. Inexplicably - one might say fatally - over the last couple weeks I’ve been drawn in the Vortex of Myra Breckinridge, legendary as being one of the worst movies ever made. This means I’ve watched it several times on the Yewtybbe, and now you can, too. Time for the high-waisted swim brief to make a comeback! So, have fun viewing . . . if you dare!